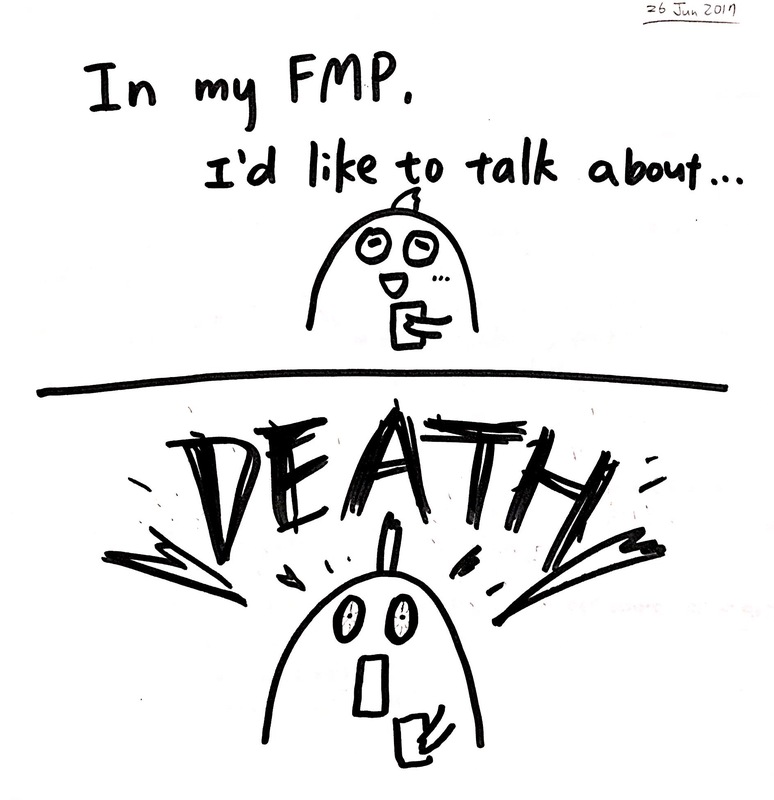 In my final major project (FMP), I’d like to focus on DEATH. Although it sounds horrible and even the tutor, Ian, is surprised and asks me am I alright when he knows that I’d like to focus on this topic. However, what I want to talk about is the MEANING OF LIFE through facing the end of life, not the sorrow, dark and loss of death. I want to create a picture book to talk about this. Actually, I’m still working on the project proposal so I haven’t decided which part of the death I’ll focus on yet. I think I’d like to combine the concept of hospice and the last wishes in life. Today, we had a class with Tom and he suggested me that maybe I could adapt a story from a film or a song so that I don’t have to write the story by my own. Due to the time limit, I might not have enough time to create a brand new story with illustrations about this project. And suddenly, while I’m searching the information online, a song about death and loss that I love a lot come up my mind: Supermarket Flower by Ed Sheeran. I think I can create illustrations based on his song and lyrics, then edit and print as a picture/illustrated book! But the idea of the song is not exactly the same as what I want to do. I think I’ll do more research and find more relative works or books about this topic.